It's time to celebrate Canada's 150th year anniversary! Redpath has a Sweet 150 contest on now! 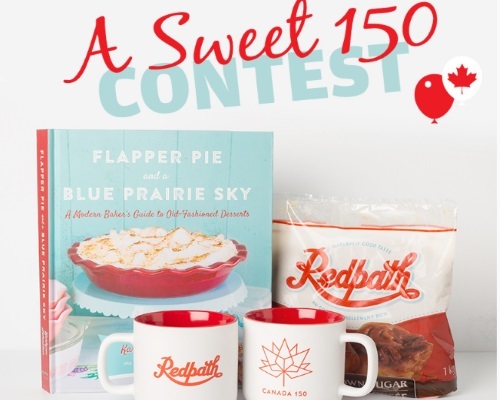 They are giving away one of their most favourite Canadian cookbooks, Flapper Pie and Blue Prairie Sky, a Canada 150 mug and an Acts of Sweetness Prize Pack. Contest closes June 23, 2017. Quebec is excluded..